CAA Southern Region wanted to increase membership. 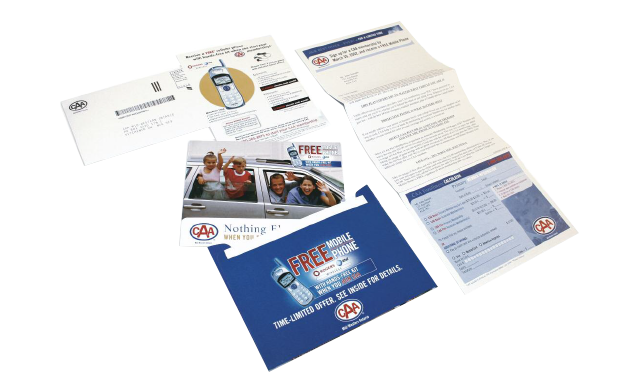 The traditional mailer included letters, lift notes, a CAA decal, temporary membership card and bounce-back postage paid envelope. Following the game-changing 9/11 event, security became top of mind among families. 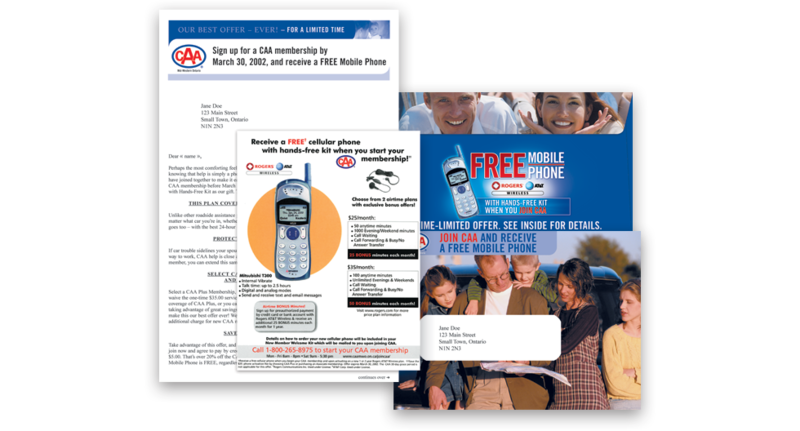 Response tapped into this change in family values by promoting a free smart phone with new memberships. The targeting lists were developed from publisher lists with teenage drivers merging Chatelaine, 17 Magazine, and Today’s Family with in-house prospect lists from CAA. 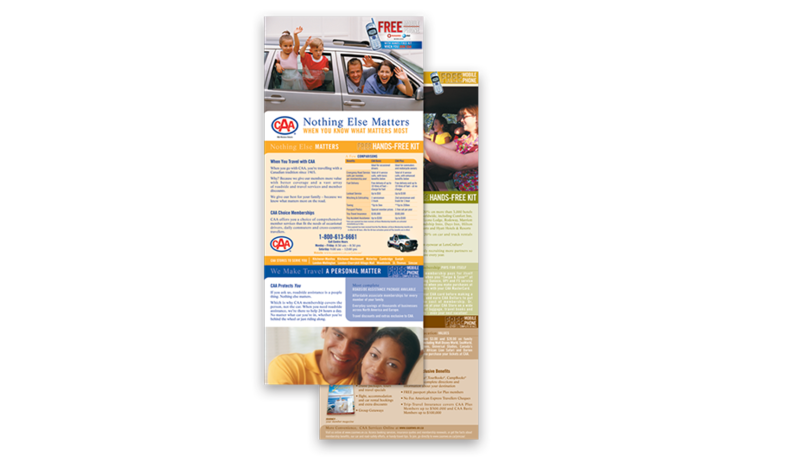 The hybrid list was source-coded and tested against the traditional control mailer.